My tween son has always had the generic store-bought Valentine’s Day cards because I just couldn’t figure out what was “cool” for boys on Valentine’s Day. Heck, I even have trouble trying to figure out what to give my husband. But this Valentine’s Day, I made it my mission to sit down with him and create a fun card that he’d be proud of. There was only one self-imposed rule: no candy. We searched online. I created Pinterest boards. And we spent a month discussing ideas. Finally, we settled on fake mustaches as the candy replacement. I’ve been told by my tweens that mustaches are “in”. Although, I have yet to figure out why – even the teenage cashier at Party City (where they sell fake mustaches for $.25!!) couldn’t give me an explanation. If you now, please enlighten me! Now for putting the cards together…we started out the normal construction paper and crayons route. But soon realized we were way over our heads. My son asked if we could design them on the computer instead. He’s seen mommy creating “pictures” on the computer and wanted to try it out too. (Little known Los Tweens trivia, I created the logo and background for the site by hand.) 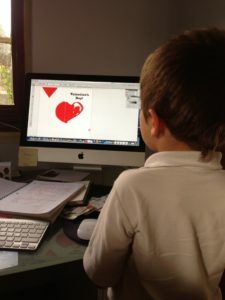 I sat him in front of the computer with my drawing tablet and off he went drawing hearts, deciding on font and placing the images. And so, the “Have a Mustache-tic Valentine’s Day” cards were born! We’re very proud of our creation and we’re willing to share! Here’s a link to the print out: Mustache-tic Valentine’s Day . Just print, cut out and attach a fake mustache! 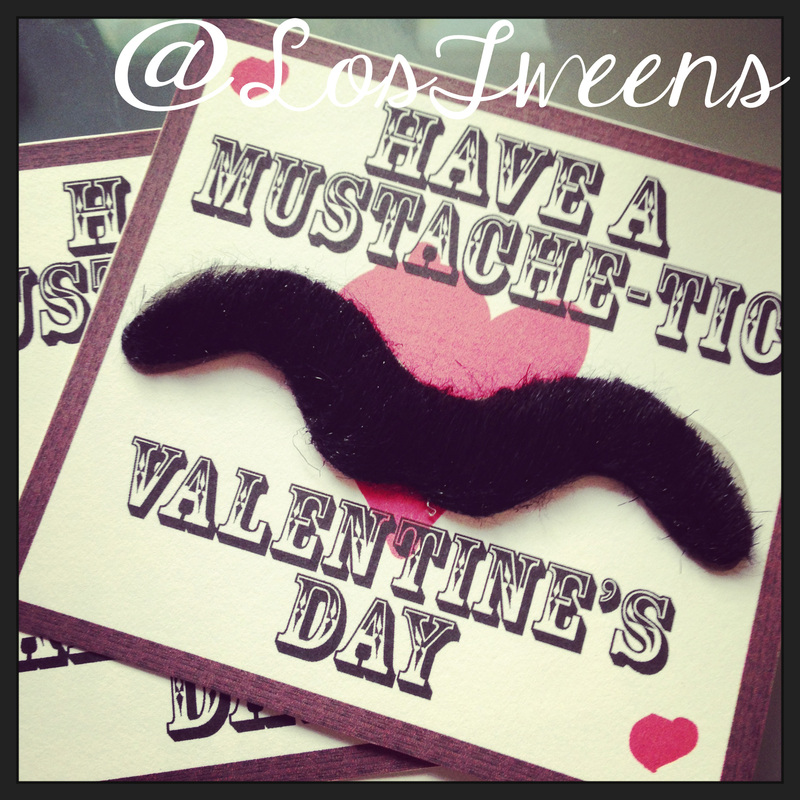 Have a “Mustache-tic” Valentine’s Day Los Tweens familia! This entry was posted in Ideas, new year, Valentine's Day and tagged craft, Parenting, parenting advice, Tweens, Valentine's Day, Valentine's Day Card. Bookmark the permalink. ← Miami Beach Models – Will you be watching? herde at web, except I know I am getting knowledge evrryday by reading thes pleasajt articles or reviews. relevance is of key importance for the creation of quality backlinks. experiences. When Page – Rank was patented the patent was assigned to Stanford University. instant access to information. But it is extremely important that anyone looking to hire an SEO professional be aware of the differences. an optimal level. Thematic relevance is of key importance for the creation of quality backlinks. I’m glad that you shared this helpful info with us. Please stay us informed like this. before. So nice to find someone with a few genuine thoughts on this subject matter. content as you probably did, the net might be a lot more useful than ever before. to the planet at large. Unlike TV, radio and other traditional marketing channels that need big budgets to be effective, SEO can be cost effective. how much time you have you can do this about once per week. SEO has an excellent track record for success. are well identified about the importance of website. E Honda malibu car 2014 has termed the Brio as a minimum of 10% of the time you pay off the Top 20, 000 was conserved.